*Order Before 3pm Eastern Standard Time for same day shipping, Monday-Friday, only on Warehouse Closeouts. One piece french crepe dress. WAREHOUSE SPECIAL One piece french crepe dress with beaded necklace. One piece women's fit and flare dress in tiered silk twill and soutache lace inserts. Dress length is 55-56". 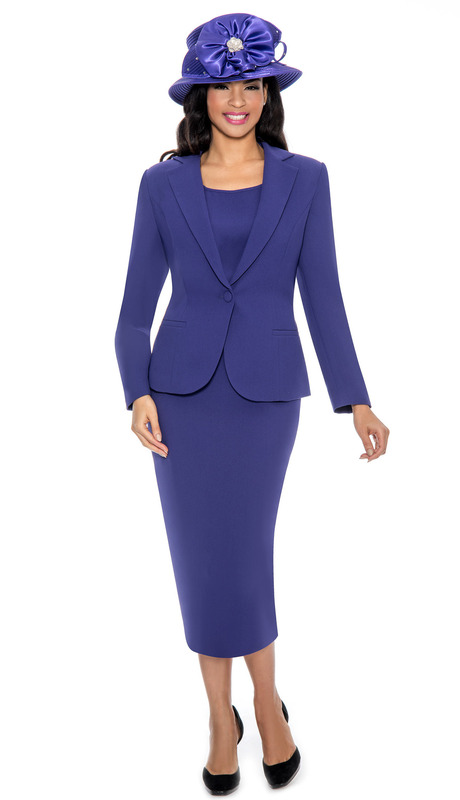 3pc Women's suit with button closure jacket, cami and skirt. 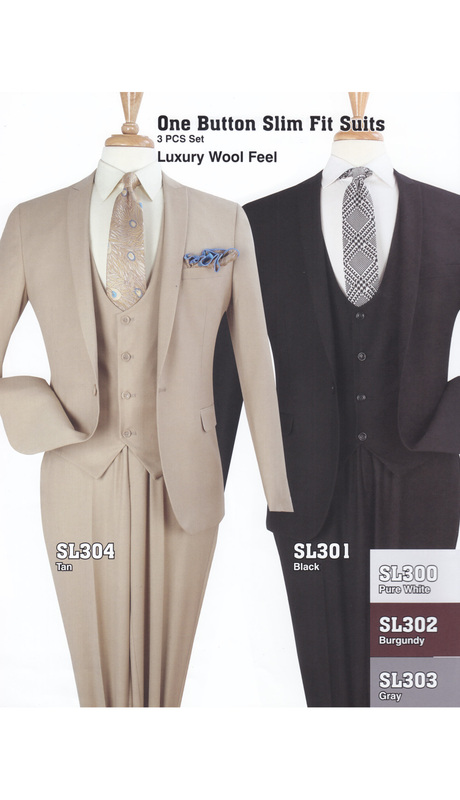 2 piece silky suit. Fit-and-flare skirt with lace hem. Four button jacket with lace peek-a-boo and trim. 2 piece satin dress. Fitted, knee length solid dress. Floral brocade chiffon jacket with shawl collar and jeweled clasp. 2 piece silky crepe dress. Full skirted, abstract print dress and short, open jacket with long sleeves. Texture-rich dress. Floral jacquard embellished with sparkling sheen. 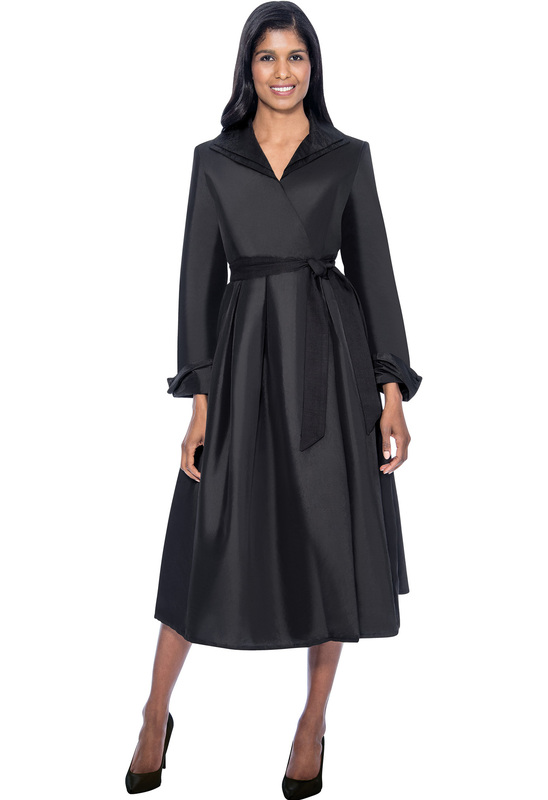 Bell sleeve jacket and pleated dress. Rich fabric with a subtle sheen. Jeweled brooch on jacket. 2pc Silk Twill With Organza Ruffled Suit. 2 piece knit suit. Straight skirt. 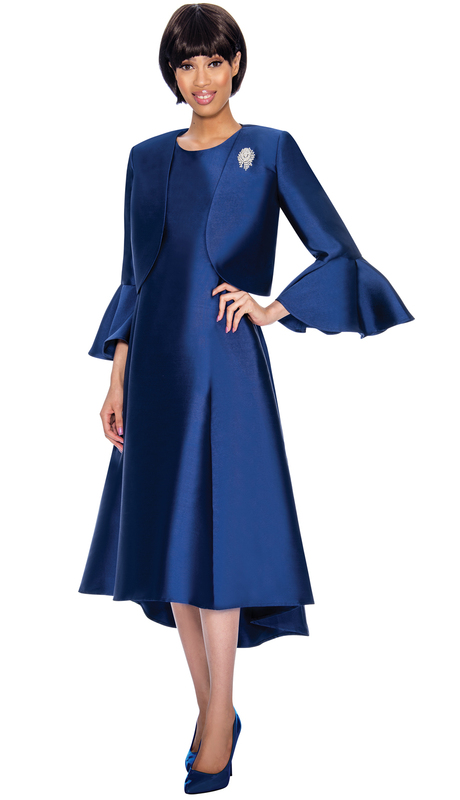 Single lapel, zip jacket with flared hem and micro-jeweled trim. 2pc Women's church dress in soutache swirl lace with jacket. 3pc Lace suits with satin vest. WAREHOUSE SPECIAL. 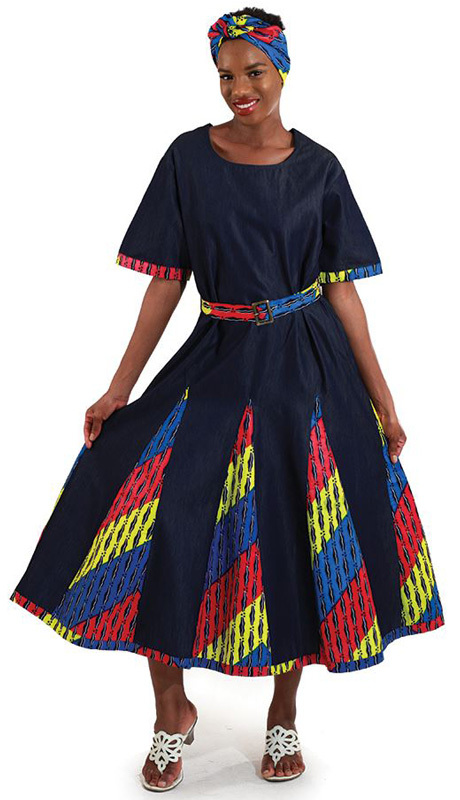 Denim & African Print Dress. Dress has elastic on the back. Matching head scarf. Has 2 pockets. 100% cotton. Wash in cold water. One Size Fits Most fits up to 44" bust. 52" length. WAREHOUSE SPECIAL. 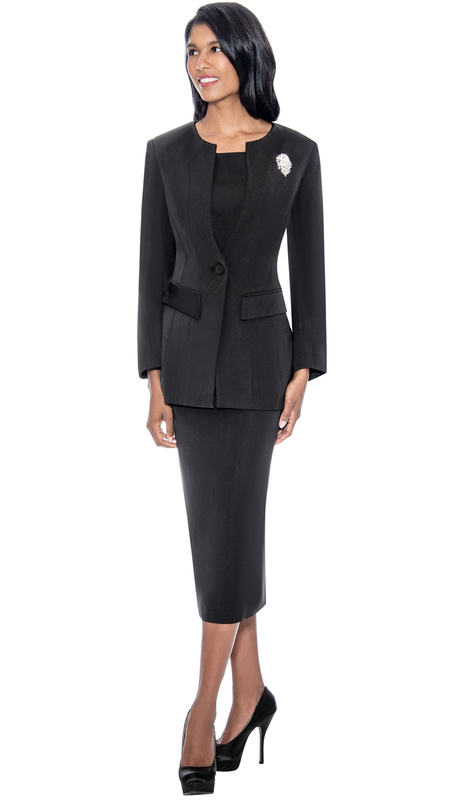 3pc Womens Usher Suit With Brooch. WAREHOUSE SPECIAL. Three piece women's suit with cut-out and embroidered floral pattern, rhinestone embellished jacket, cami and skirt. 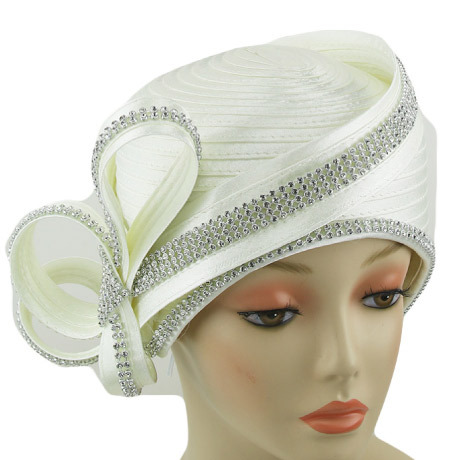 Bow at waist with rhinestone buckle. Wool Blend Full Length Coat. 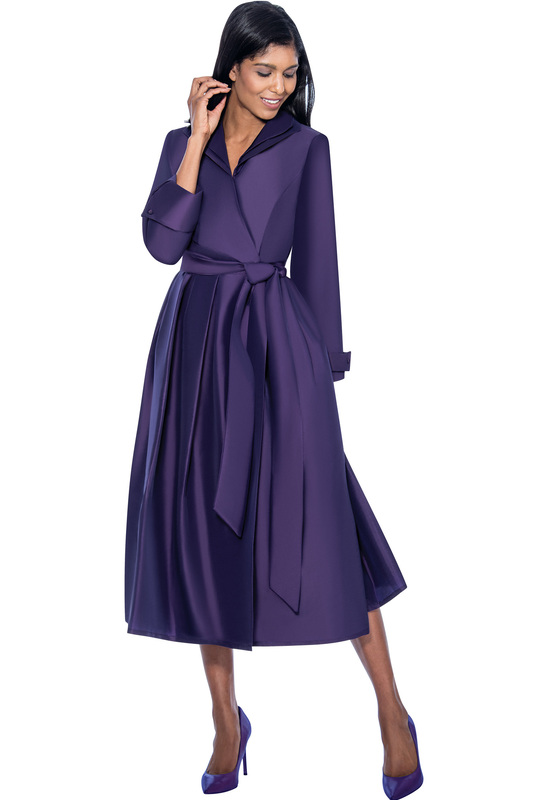 49 inch long light weight wool coat with notched collar, seam at waistline, front pockets, and back pleat. Two piece usher suit with rhinestone button closure jacket, rhinestone brooch and pleated back skirt. WAREHOUSE SPECIAL Three piece women's suit in metallic brocade, rhinestone embellished jacket, rhinestone clasp, satin cami and skirt. 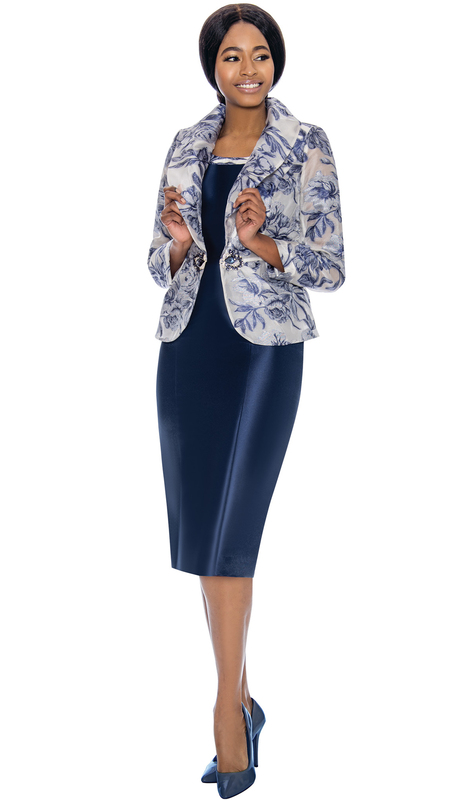 WAREHOUSE SPECIAL Two piece women's suit in metallic brocade, rhinestone embellished collar and buckle on jacket with skirt. 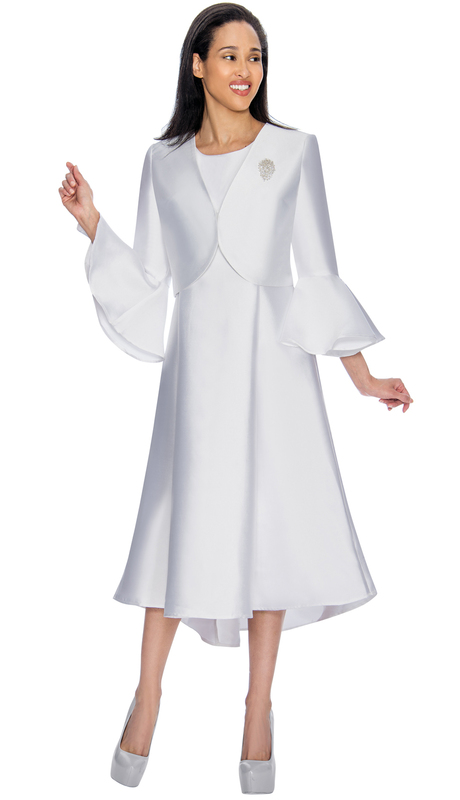 Two piece church dress with pleats & bell cuff sleeve bolero. WAREHOUSE SPECIAL 2pc Ladies skirt set in linen with braided collar, high-low tunic top and flare skirt. 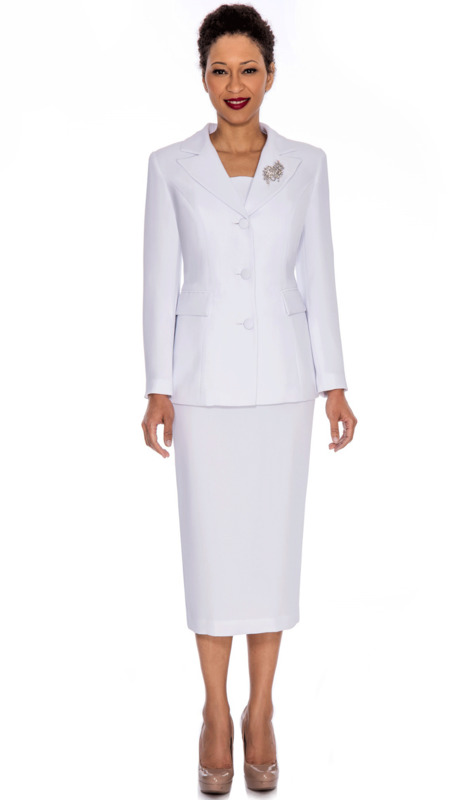 WAREHOUSE SPECIAL 2pc Women's suit with 3 button closure jacket, skirt and rhinestone brooch. machine washable. 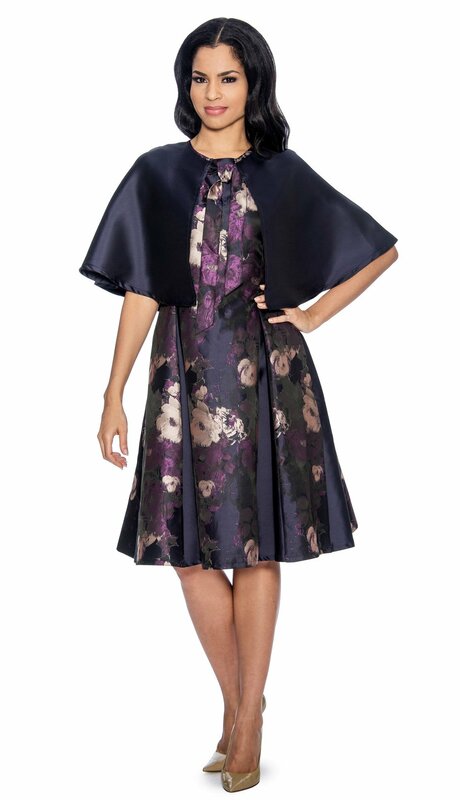 WAREHOUSE SPECIAL 2pc Ladies Dress in floral print brocade with pleated waist and capelet. 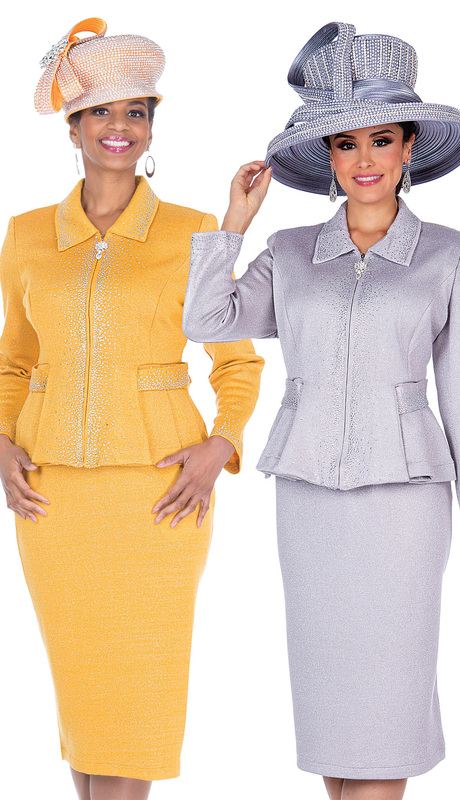 WAREHOUSE SPECIAL 2pc Women's Church Suit in stretch taffeta with rhinestone brooch and ruffled wrap skirt. WAREHOUSE SPECIAL 1pc Ladies Dress in lace with bold chevron stripe, flounce sleeve and high-low hem. 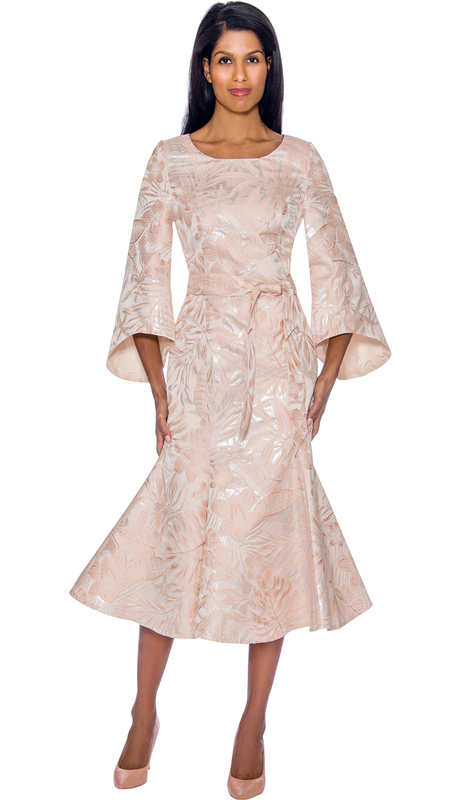 WAREHOUSE SPECIAL 2pc Women's suit in peach skin and brocade with floral pattern asymmetrical collar, rhinestone embellishment jacket and skirt. 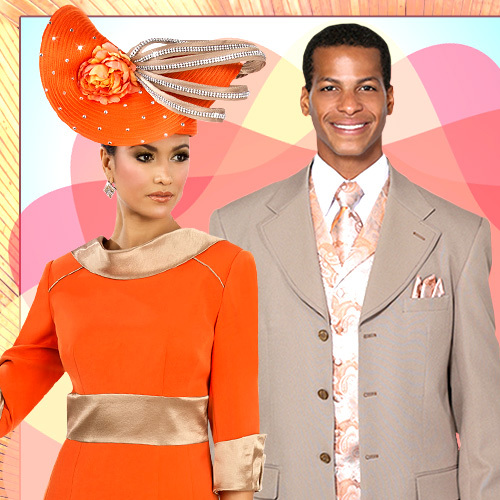 WAREHOUSE SPECIAL 3pc Women's suit in peach skin and brocade with rose pattern, rhinestone embellishment, sweetheart neckline and flower applique on shoulder of jacket with skirt and cami. Three piece women's suit in textured stretch crepe, lace appliqué, top rhinestone button on jacket with cami and skirt. 1pc Ladies dress, fit and flare with lace bodice, pleated waist and belt.